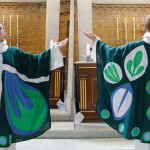 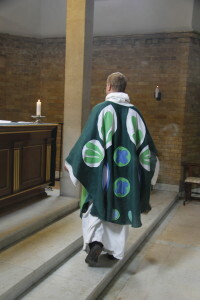 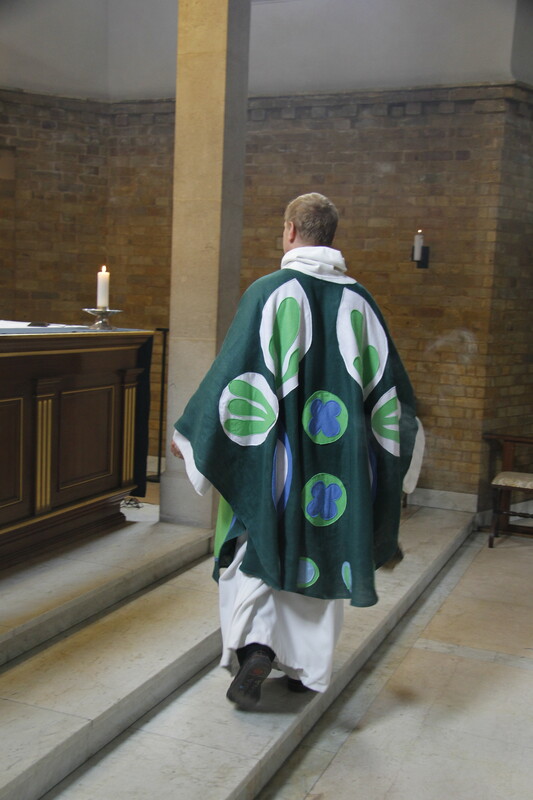 Kennington to design and make a chasuble for their priest Giles Fraser. 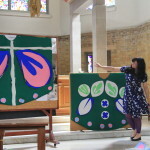 This was an inter-generational project with learning and making taking place on site at St Marys. 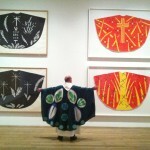 The practical workshops were supported by organised and guided site visits to the Matisse Cut Outs exhibition at Tate Modern. 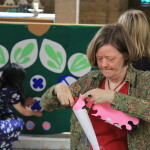 Over a series of workshops I introduced participants to Matisses’ cut out technique. 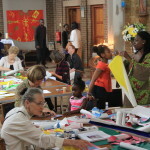 Exploring concepts of colour and motif both within Matisses work, within Christian iconography and across the wider community of Kennington. 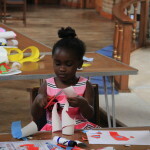 My focus was to encourage self directed, creative decision making; foster group cohesion and autonomy and to recognise the importance of creativity within the rituals of everyday life.